GRC Mechanical Services is now taking orders from our clients to install Generac Guardian Generators. 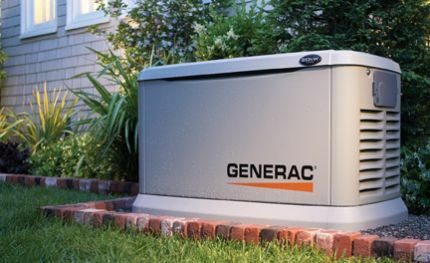 With the Generac Guardian Home Stand-By Generator you will never be without lights, heat, well water, sump pumps. Your refrigerator will always have power. These generators run on natural gas and turn themselves on and off automatically. So if you are away from your home or family you will have the reassurance that everything is running fine. Please call for detailed information and pricing on the generator that best fits your needs. Financing is available with approved credit. Getting Heating Services in Bergen County – It’s As Easy as GRC! Energy Savings Could Be Yours – Right Now, the Price is Right with Carrier® Cool Cash! How Much is Too Much AC Repair for Your Paramus, NJ System?